Jewish educators are well-acquainted with the notion that everyone who has some Jewish knowledge is obligated to share it with others. The renowned scholar Rabbi Adin Even-Israel Steinsaltz has made that obligation the mission of his life’s work. In his book A Dear Son to Me, he implores all of us to share what we can of our Jewish inheritance, with other Jews. The threefold bond is also a national and social definition. It underscores the fact that the Torah is “the inheritance of the congregation of Jacob.” The Torah is not the property of a certain group or brotherhood. In the Jewish people, there is no sect of “knowers” to whom alone the Torah was given. Rather, the Torah is for the entire Jewish people. Furthermore, the Torah, which is also called an “inheritance,” is an ongoing legacy. No Jew is free to consider whether he wants it or not, nor is it for any of us to decide whether to take it or leave it. Rather, the Torah is the inheritance (morasha) of the entire people as a legacy (yerusha), as heredity (torasha). On the other hand, no one can hold the Torah in his lap and claim that it is his own private property, or that it belongs only to his specific circle or group. For the Torah is the patrimony of the Jewish people as a whole, which includes each and every one of its members. How was this inheritance taken from us? It got lost in the exiles, in the “desert of the nations,” sometimes even in our own land. And it is my duty to return what was stolen from us to its owners, to all those entitled to it. This calls for a great deal of work, on both ends. On one end are the recipients, who do not always know that they have such an inheritance. To use an ancient parable: a prince, born far away from his homeland, may not know that he is of royal descent, and is surely unaware that he has a great legacy in another country. What should this child do? He must learn about his estate; he must discover that there is a treasure awaiting him. On the other end are the givers, or those capable of giving. The Torah is not something secret, or somebody’s monopoly; on the contrary, we are commanded to make sure that it reaches the hands of every potential inheritor, all those who belong to “the congregation of Jacob.” We must not deprive them of their legacy. Whoever tries to veil the Torah, or hide it, or build fences around it, separates his people from their heirloom, which is, and remains, theirs at all times. This, then, is a twofold effort: of the child who grew up ignorant of his patrimony, and of he who holds any part of that inheritance and is capable of transmitting it. Both parties together must exert themselves to make the ends meet. Our great task is not to convert gentiles, but to proselytize Jews. This heritage must therefore be transmitted and distributed, even to those who do not know it exists. One who holds in his hand even a tiny portion of this treasure has no right to keep it to himself. This is a direct, personal calling; it is not the responsibility of lawyers or of special institutions or organizations. It is the simple, humane duty incumbent upon me, who sees princes roaming the streets naked while I hold their plundered property in my hand. To put things in proportion: the land of Israel is the Holy Land, the only land that is holy. Jerusalem is more sanctified than all the land of Israel, and beyond the sanctity of Jerusalem is the sanctity of the Temple Mount. But above and beyond all this is the sanctity of the relationship between the Almighty and the Jewish people. This silver cord, this life-line which links every Jew to his Creator, carries the sanctity from which all other sanctities derive. When one keeps this life-line intact, when one enables this flow of life to continue — this is where God is. Beyond that, He cannot be revealed. The task of returning what has been lost to its owner is a very dramatic one. Sometimes one can only do a small part of it. Sometimes a person may begin, but not get to see the end. This is especially true because so many of the recipients are suspicious of the inheritance they are being offered. At other times, the paupers may have become accustomed to their poverty; they may have decided they do not want to be entangled with a great legacy. But whenever one has the privilege of returning that legacy, it is a powerful experience indeed. There are still so many who need this, who cry out for this. And all of us, each and every one of us, can do something in order to weave this silver cord anew, to once again extend this thread of life. Rabbi Steinsaltz, who lives in Jerusalem, is a teacher, philosopher and author who has translated the Talmud into Hebrew and English. His complete commentary on Tanakh will be available in English in 2019. One immediate, exciting way to “extend this thread of life” is to make Jewish learning something to gather communities around. Rabbi Steinsaltz and the Aleph Society created the Global Day of Jewish Learning, an annual worldwide celebration that takes place wherever Jews gather to study Jewish texts together. Text study in 2019 will center around the theme of Speaking Volumes, exploring how and why words matter. 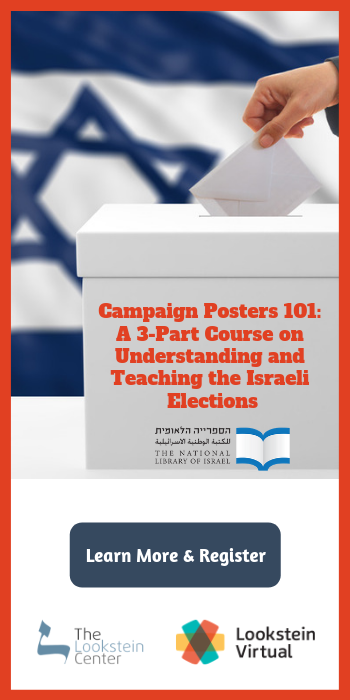 This is especially important for educators to consider, as it is our words that reach people, and the words of Jewish texts that contain the essential nature of what it means to be Jewish. This year’s Global Day is November 17, 2019. 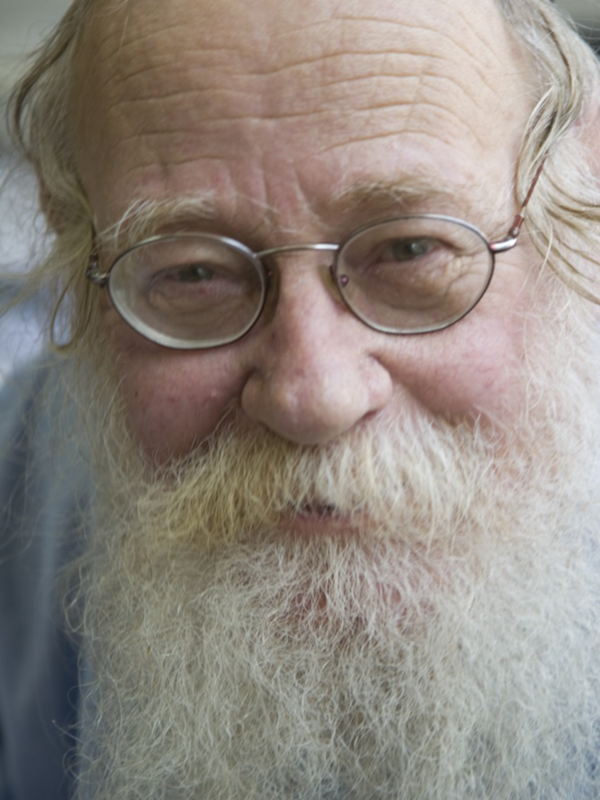 Rabbi Steinsaltz is a teacher, philosopher and prolific author. Amongst his most significant works are his translation of and commentary to the Talmud into both Hebrew and English. His complete commentary on Tanakh will be available in English in 2019.